UPDATE: The New Yorker is reporting the Kochs have given up to Walker. Look. you cannot see the marionette strings! When I think of the field of conservatives who are vying for the GOP 2016 presidential nomination, I find little reason to wonder why Donald Trump is faring so well among conservatives. 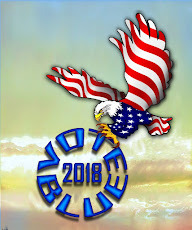 The field of candidates is almost comical and despite Rience Priebus's neutered management of the situation, the party's inner core isn't showing well. A fact that should not surprise and is indicated an ideology that is absent usefulness in circa 2015 America. As is the case with conservative ideology, people who subscribe are literally lost in a sea of regressive fantasy. They live in a social bubble and when coupled with numerous sources of mis-information America's conservatives are scrambling for a "hero." 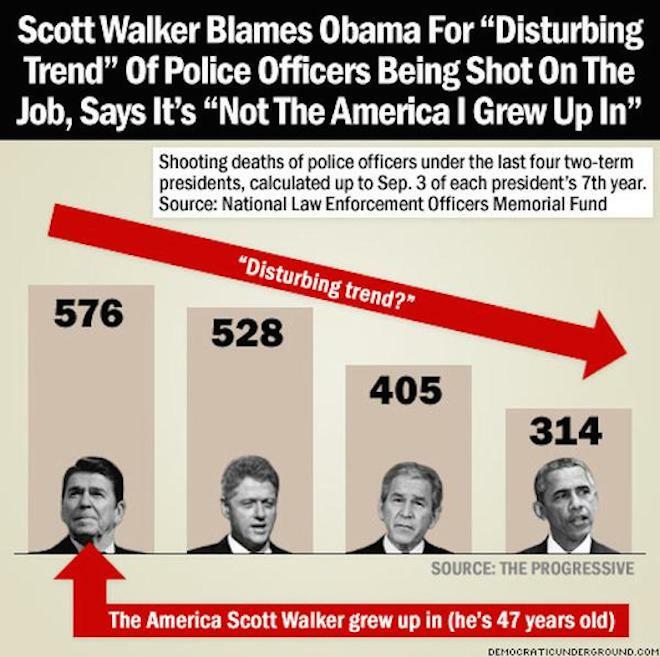 It seems Wisconsin's Scott Walker is not the hero of his past second place polling numbers. As I think of Scott Walker, it is easy to see why the party hero is a New York City carnival barker who is rapidly showing the ridiculousness of reality television. Our penchant for seeking self-gratifying voyeuristic moments of fantasy television entertainment is slowly manifesting in poll results that favor Trump. An intriguing sidebar to Trump's impact on the campaign is his attracting polling numbers which equates to the probable loss of campaign cash to the more regressive of the 16 candidates. 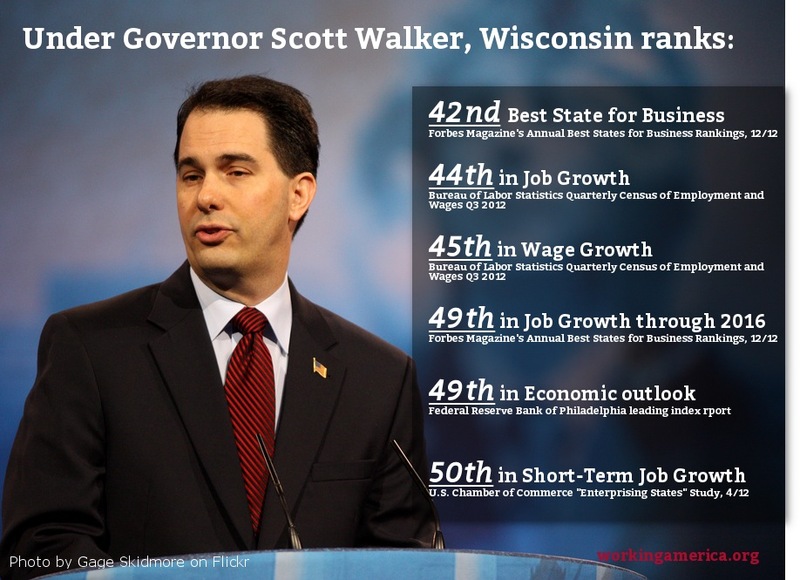 There isn't one of the 16 GOP candidates who is more regressive than Scott Walker. And, Scott comes with another dynamic important to his money backers. He offers Koch brothers funded regression while sporting a Wisconsin gubernatorial track record that is literally unfathomable. The economic record has resulted in a Walker slide down the approval ratings roller-coaster like a ride on Jackson, New Jersey's Six Flags Great Adventure, Kingda Ka. In late August, walker polled at 25% among a survey of Republican primary voters. More important, Walker recently polled among Wisconsin residents at the 39 percent level. Why would any worthwhile uber wealthy oligarch fund a veritable political loser? Unsubstantiated reports of Koch brothers slowing the flow of campaign cash to the Walker campaign, have floated across the Internet over the past two weeks. "Remember Barack Obama had never run anything in government before, and we see what a lousy president he's been," Walker said. "I've run things. I've actually got things done." 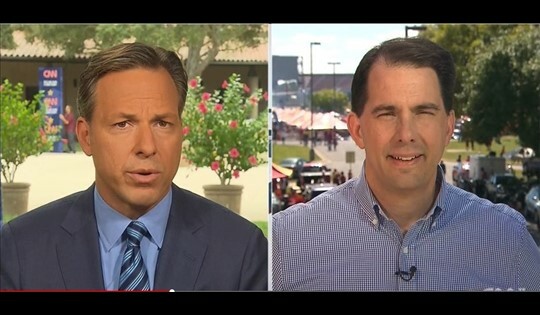 "If you want someone who will fight and win... and get results without compromising common sense conservative principles, then I'm the candidate," Walker told CNN's Jake Tapper in an interview that aired Sunday on "State of the Union." Walker says he will fight. What exactly would Walker fight for or against. Would he undertake to rid the nation of all public service workers? Would he become a clone of Bush/Cheney's charge into Iraq by chasing and destroying the nation's labor unions? His ill-advised comments about being qualified to takeout ISIS based on taking-down 100,000 union protesters was indicative of a childlike mindset as well as a candidate reaching for the weakest of administration fait accompli. Walker would fight for any and every issue handed to him by the Koch brothers as first priority and all other (conservative agenda) matters on a secondary basis. If you have any doubt about the accommodating candidate for Wisconsin, watch as he un-artfully dodges CNN's Jake Tapper's efforts to secure an answer regrading special interest in the nation's capital. Under the carnival tent of one Donald Trump and consistent campaign stumbles, Walker is fading among Republican candidates. When adjoined with rumors of dwindling Koch money, and a coming GOP debate we should be in for an interesting week in GOP politics. Crooks & Liars is reporting Walker has cancelled an appearance in California.